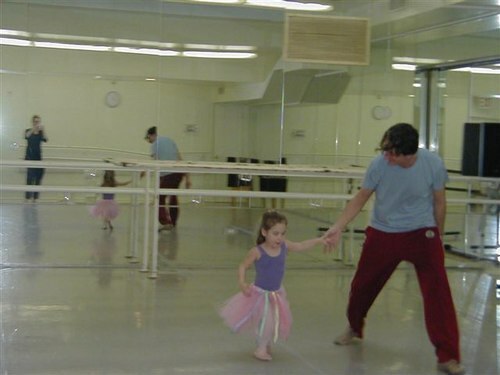 Three year-old Camille was in town from the Philadelphia area for The Nutcracker at City Ballet and registered for a one-hour private class with François Perron, Managing Artistic Director of Studio Maestro, tucked away on West 68th Street, near Lincoln Center. 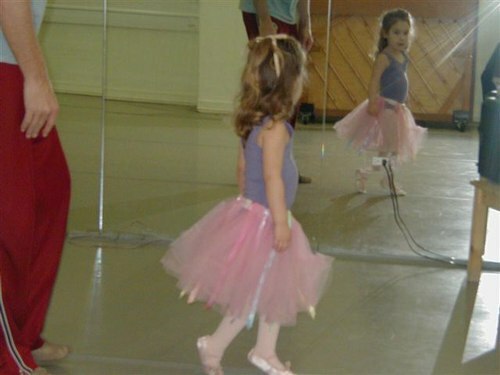 François was generous with spirit and eager to see the potential talent of this young and enthusiastic dancer. 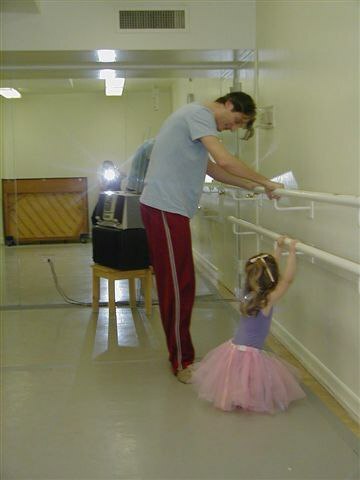 He played a preview of the "Dance of the Sugarplum Fairy", from Nutcracker, and he led Camille through the five positions, as well as arabesques, ports de bras, attitudes, battements, relevés, jetés, pas de chats, pirouettes, pliés, sautés, and tours. Camille is wearing Freed of London tights, leotard, and silk ballet slippers, all of which can be purchased through Freed of London USA. Francois is a graduate of Paris Opera Ballet School and performed with many European ballet companies, such as Bejart's Ballet du XXe Siecle and La Scala Ballet, plus New York City Ballet for six years. 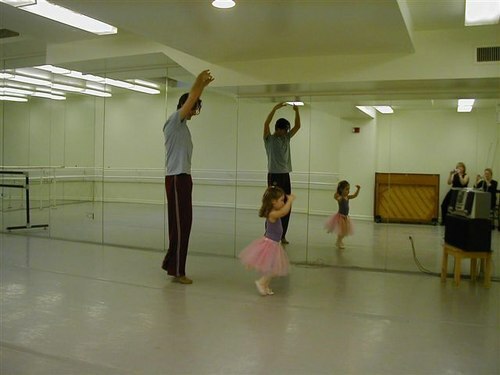 The Founder and Executive Director of Studio Maestro and Manhattan Youth Ballet is Rose Caiola, formerly Ballet Master and Principal with Hungarian Royal Opera Ballet. Studio Maestro will soon relocate to the new Element, a luxury high rise on West 60th Street, near New York City Ballet at Lincoln Center. Studio Maestro will acquire 18,000 square feet of column-free space with five studios, state-of-the art technology, and an intimate theatre with full sound and lighting. 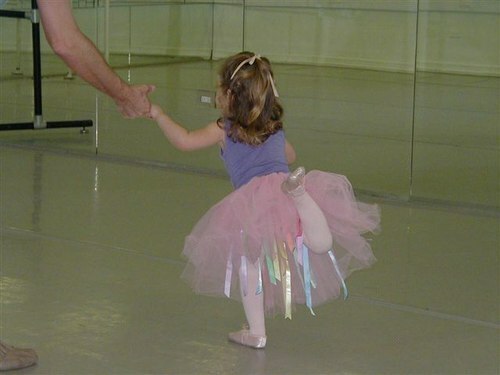 Open classes for fitness, yoga, jazz dance, and ballroom, plus a full toddler program, will also be included. Watch for upcoming interviews with François Perron and Rose Caiola for more news on the new state-of-the-art Studio Maestro, scheduled to open in the Fall of 2007. 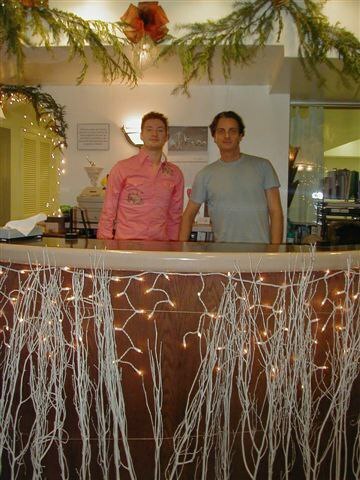 Francois Perron, Managing Artistic Director, and Adam at the Reception. 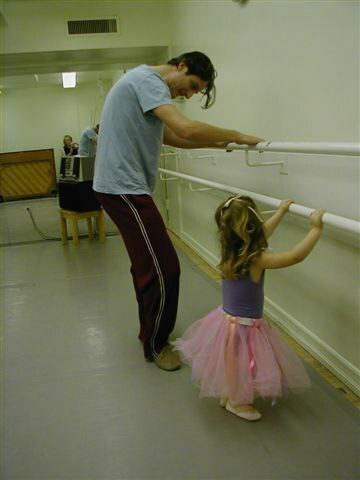 Camille Learns Ballet from Francois Perron.